Tour Austin’s fascinating mash-up of public art and watershed protection! 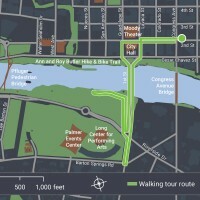 This walking tour includes stops at public art as cultural markers (Stevie Ray Vaughan and Willie Nelson statues) and attractive green infrastructure (the gorgeous landscape bio-filtration system at the new Auditorium Shores Trailhead). 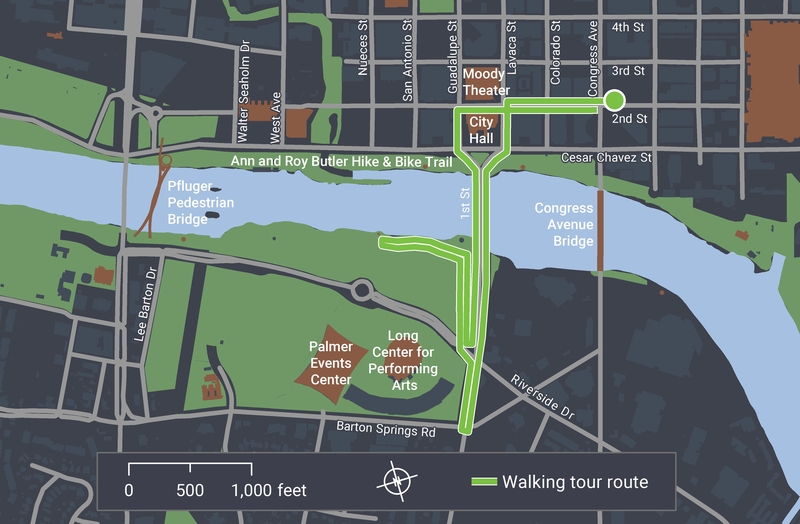 The tour will walk down award-winning 2nd Street and cross over serene Ladybird Lake, while guides discuss Austin’s public art collection and how they integrate with and complement the downtown streetscape and parkland. City staffers will share stories of successful projects, including challenges faced and overcome.